Growing up, I remember having Ham and Scalloped Potatoes on occasion. We didn’t have it too often – so those times when we did have it, really stuck out in my mind. My parents grew up in the Midwest – where meals tend to be filling, hearty and stick-to-your-ribs! Although I love the traditional Ham and Scalloped Potatoes, y’all know I just can’t leave well enough alone. I spun this snazzy version from one I had at a party years ago. It could easily be a main course …. or a side dish! Preheat oven to 400°F. Coat a 9×13-in. a baking dish with cooking spray and set aside. Whisk together the Alfredo and milk in a medium bowl. In a separate medium bowl, combine the ham, broccoli and 1 cup of the cheese. Layer half of the potatoes in the baking dish. Sprinkle with half of the Parmesan cheese. Season with salt and pepper. Top with half of the ham mixture. Spread one-third of the Alfredo mixture over the top. Repeat layers. Top the casserole with the remaining 1 cup of cheese. Pour the remaining Alfredo sauce over the top. Spray a piece of aluminum foil large enough to cover the dish with cooking spray and place sprayed side down over the casserole. Bake for 45 minutes. Reduce oven temperature to 350°F. Uncover dish. Continue to cook for 20-25 minutes or until the potatoes are tender. Let stand for 5 minutes before serving. Looks wonderful! Thanks for the invite to Google+. 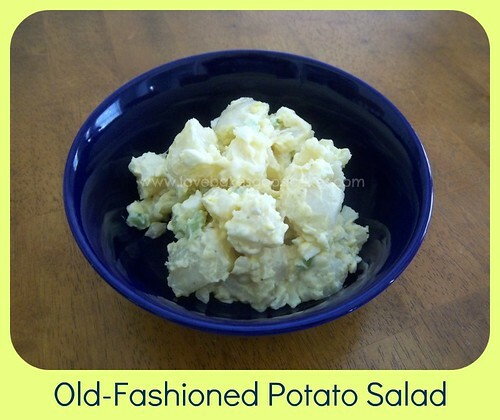 I've pinned this and can't wait to try it with some leftover holiday ham! 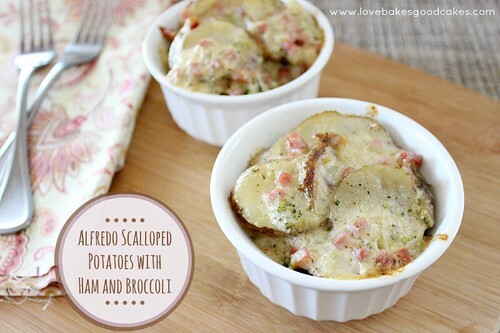 Your scalloped potatoes with ham and broccoli looked delicious! I'm definitely going to have to try that! Thanks for sharing! I found your post on Family Fun Friday. 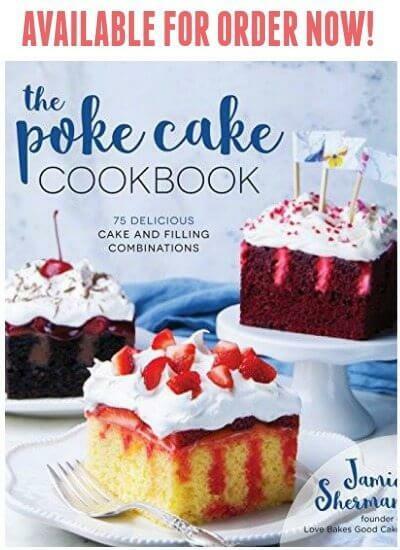 This is a great dish for the holidays! 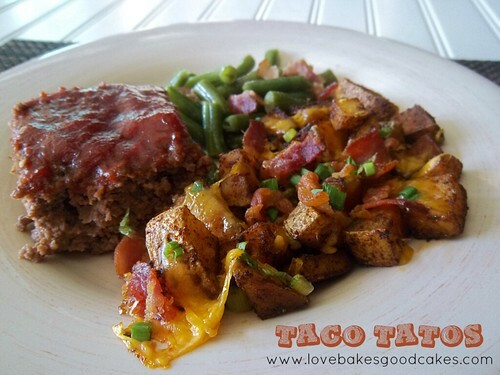 Thank you so much for sharing with Full Plate Thursday and hope you have a great weekend! I confess that scalloped potatoes were never my favorite when I was kid. But then my mom didn't add ham or broccoli. Thanks for sharing at Inspire Us Thursday on Organized 31.
okay, I'm definitely going to have to try these! <3 YUM Thanks for linking them up! My goodness, I need to come have dinner at your house 😉 Thanks so much for sharing with us again this week! I'd rate this dish as filling, hearty and stick-to-your-ribs. I love scalloped potatoes, but we always had them plain–just potatoes. You've turned them into a one pot (dish) meal. Thanks for linking. Hope you have a nice weekend! I just love ham and potatoes, this looks like a delicious dish. Hope you are having a great day and thank you so much for sharing with Full Plate Thursday! 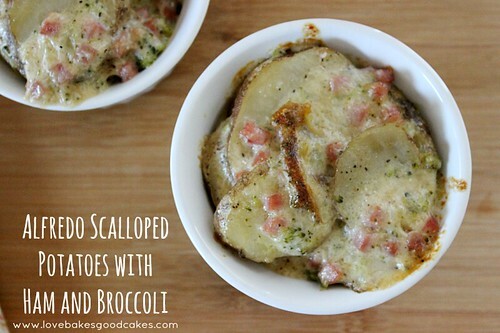 I was not a big scalloped potatoes fan as a kid, but adding ham and broccoli makes me want to give them a try now. Thanks for sharing at Inspire Us Thursday on Organized 31. These look amazing Jamie. 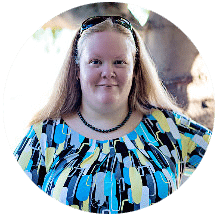 You were one of my personal favorites on this week's Share Your Stuff Tuesdays.